The trees don’t have their fall colors yet, but with Halloween decorations popping up in stores or across the street, I am feeling an irresistible craving for a pumpkin treat. 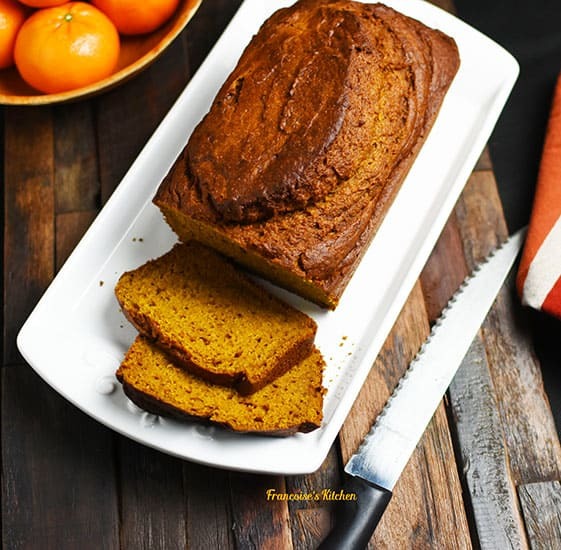 Mandarin Pumpkin Bread is a delicious easily-made bread, spicy, and not too sweet. 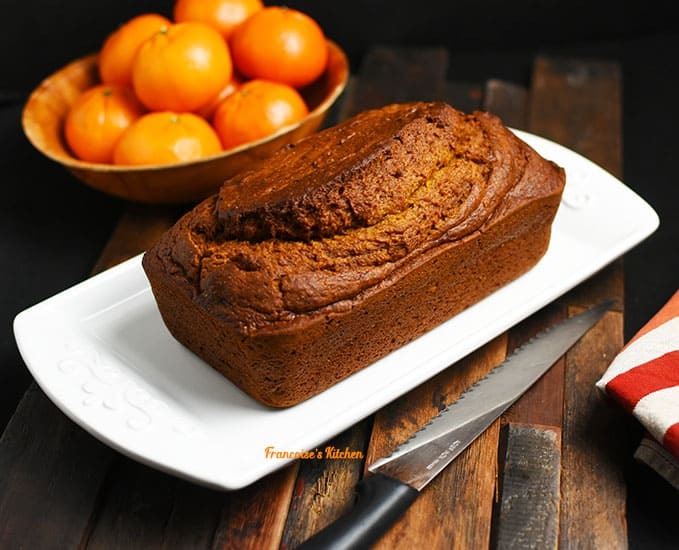 The mandarin juice keeps this bread really moist and pairs very well with the pumpkin and the spices. In my Mandarin Pumpkin Bread, I did not add nuts, dry fruits or chocolate chips because this bread is great like this. But feel free to add anything you want to. 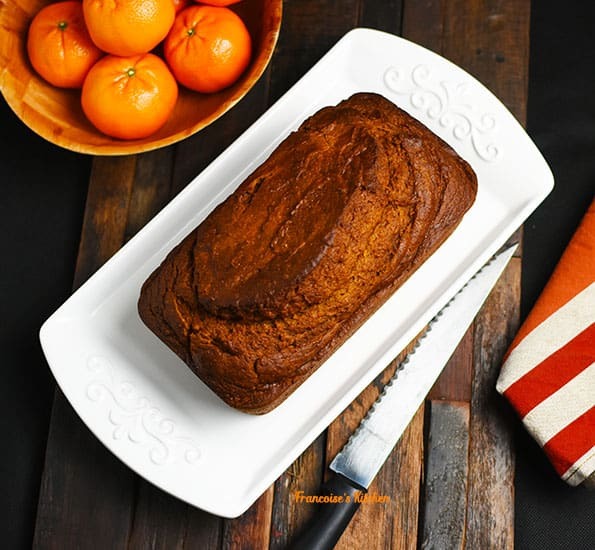 Definitely a healthy treat perfect for any craving! Butter and flour an 8 1/2 x 4 1/2 inch loaf pan. In a medium mixing bowl, combine all the dry ingredients (except walnuts, raisins or chocolate chips): flours, sugar, baking powder, baking soda, salt, cinnamon, nutmeg, and cloves. In a separate mixing bowl, combine eggs, pumpkin, oil, and fresh mandarin juice then gradually add the dry ingredients until just moistened. Optionally, you can fold in walnuts, raisins or chocolate chips. Evenly spread in a loaf pan. Bake 1 to 1 hour 15 minutes or until a knife inserted into the center of the bread comes out clean. Cool in pan 10 minutes before transferring it to a wire rack. Let it cool completely (about 2 hours) before slicing it.